If you’re in the market for something weird yet tasty then give this recipe a go… I guarantee* you’ve never eaten anything like this before. A word of warning though, pearl barley has a bent for clogging up dishwashers so best go manual on this one. * UK and Ireland only. Terms and conditions apply. This was never going to be a pretty dish. Start by soaking the chickpeas overnight in 2 litres of cold water with added bicarb of soda. The next day boil them up for about 20 minutes until tender, drain and set aside to cool. When cool, put the chickpeas in a food processor with the onion and process to a fairly fine paste. Scoop out into a large mixing bowl, add the herbs, spices and tomato purée and stir to combine. Season to taste. 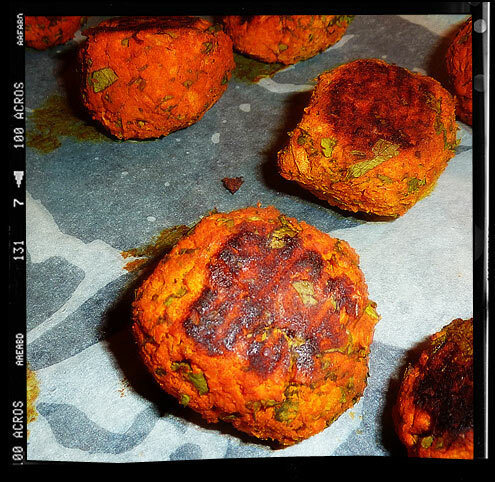 Lube your hands up with some olive oil and then roll the kofta mix into walnut-sized balls. Place on a baking tray lined with lightly oiled baking paper and place in the oven for about 20 minutes or until pleasantly golden brown (turn occasionally to avoid hot spots). Bring the stock to a boil over medium heat, add barley, lemon rind and saffron and simmer until barley is tender (20-25 minutes). As this is happening, pour the yoghurt into a large bowl along with the beaten egg and mix until smooth. Mix the cornflour with 50ml of cold water to form a smooth paste and then add to the yoghurt. Add 100ml of the barley stock to the yoghurt mixture and whisk to combine. 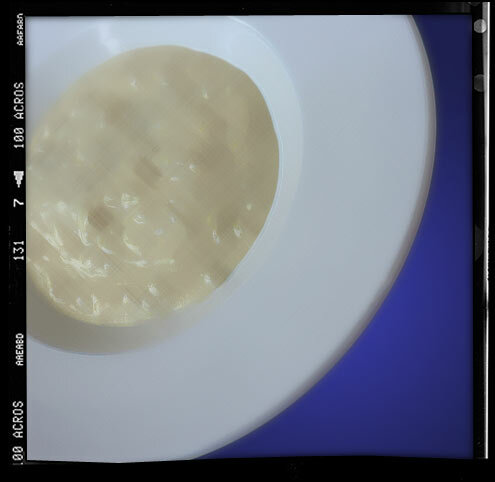 Now add the yoghurt mixture to the barley stock, place on a low heat for 4-5 minutes and bring to a gentle simmer, stirring continuously … take care NOT to boil. To serve, place some koftas in the bottom of warmed soup bowls and pour over the soup. Drizzle with olive oil if the mood takes you. Verdict: Wow, this is the weirdest soup I’ve ever had … a sort of savoury lassi with the consistancy of tapioca … unsual but pretty darn tasty, and perfectly accompanied by the spicy (and fairly hot) koftas. If you are put off by the tapiocosity of this dish, try substituting the pearl barley with rice. Weird. Drink: A crafty monday night bottle of Rosé. Entertainment: Still working our way through the fifth season of ‘Homocide: Life on the Streets’. 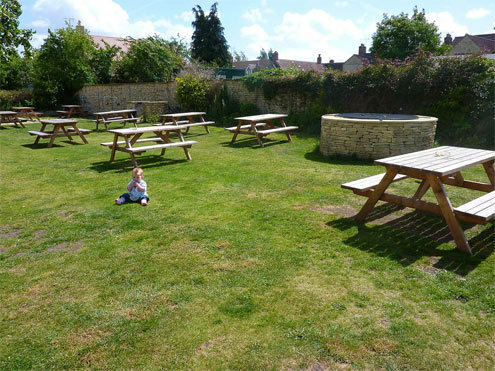 Yumblog Junior is left unattended in a pub garden with only a packet of Swan Vestas to play with.